While Nashville coalition Change The Conversation has brought widespread attention over the past couple of years to the lack of female artists gaining traction at country radio, the realm of music producing and engineering is still largely male-dominated. 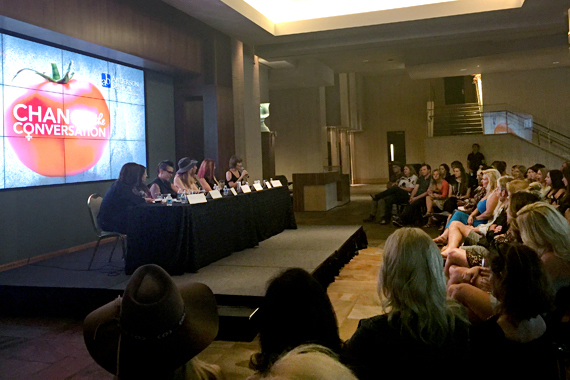 On Wednesday night (Aug. 3), BMI’s Nashville office welcomed female producers and engineers Adrianne Gonzalez, Victoria Shaw, Lari White, Alex Kline, Shani Gandhi and Gena Johnson for a panel titled Women Behind The Board: A Conversation on Producing and Engineering. It was moderated by Dave Cobb, known for his production work with Jason Isbell, Lori McKenna, Sturgill Simpson, and Chris Stapleton. 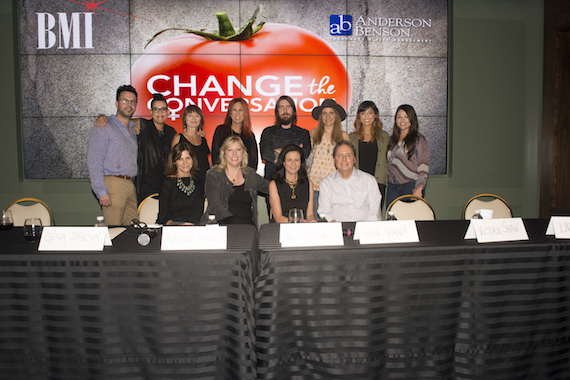 Many women on the panel pursued full-time artist careers before shifting into the world of producing and engineering. Producer/engineer Alex Kline was a member of The Lunabelles. The group had signed to BNA and released the single, “A Place To Shine.” Kline soon found herself on stages across the country, opening for labelmate Kenny Chesney. While on the road, she realized much of her time was spent not working on new music, but performing songs the group had already written. Nearly all of the women on the panel mentioned they had been passed over for certain projects. Several noted they felt that a rejection often had more to do with the quality of the work, or with the working relationship with a label, manager or artist, rather than gender. Keith went to her Nashville studio and cut three songs in four hours. By lunch, he had asked her to re-book the musicians for additional sessions to work on the whole album. “Music is not a democracy, ever,” Cobb interjected. Cobb and the panelists also discussed the importance of making artists comfortable with them as producers. Everyone on the panel agreed that the key to getting more work is to focus on quality work, rather than gender issues. Shaw, a superstar songwriter in her own right, placed high value on quality during the five years she spent developing the superstar trio Lady Antebellum. She began working with then 16-year-old Hillary Scott, even before Scott began collaborating with bandmates Charles Kelley and Dave Haywood. After the trio formed, Shaw encouraged them to keep writing. “My goal was an album of single-worthy songs,” Shaw said. 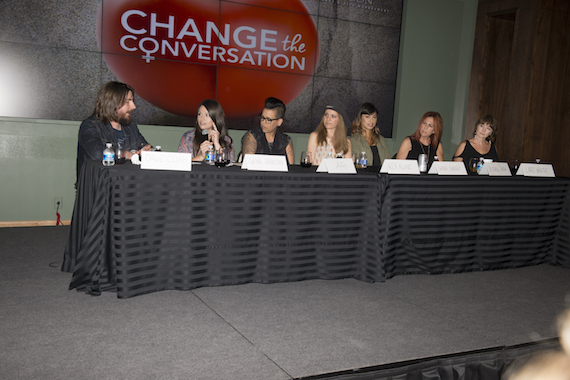 The women also praised the work of Change The Conversation for highlighting the lack of females on the radio and behind the scenes in certain sectors of the music industry. “When you bring attention to it, it holds their feet to the fire,” said Gonzalez. Shaw says that the lack of females on country radio represents an opportunity and a challenge to female artists to work harder, to excel at their craft, and to make themselves more unique as artists.